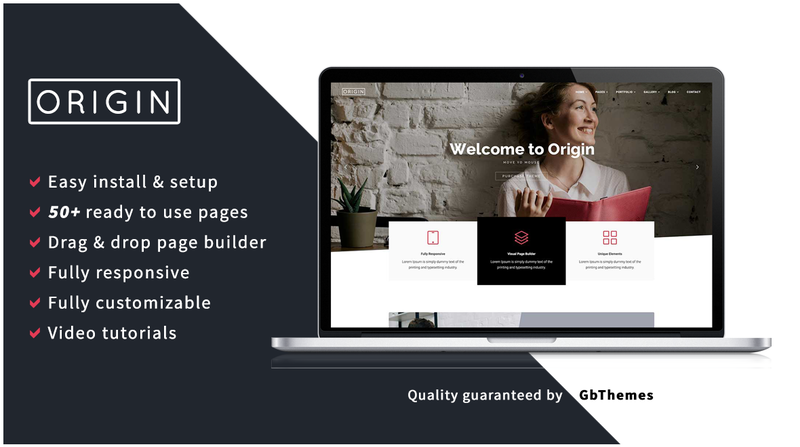 Origin is a creative drag & drop theme created and designed with love for passionate web lovers. The key features of Origin are the back-end builders, so you have the King Composer as page builder. Unique design and powerful options offer hundred of creative elements to choose from. The goal was to design something that offers all the possible features you need to create your amazing website without having to add extra customization. The demo can be imported easily in only one click. It won’t take more than five minutes to be ready for use. The theme is a very user-friendly platform and is suitable for creative Professionals, Photographers, Freelancers, Bloggers and much more. In fewer words, it’s a Creative Multipurpose WordPress Theme. All support is handled via a dedicated support forum, available at https://gbthemes.ticksy.com/. Please head out there to open a ticket, in case you have any questions.